Lancaster Truck Accident Injury Lawyer - Over 40 Years of Experience You Can Trust! Were You or a Loved One Hurt in a Truck Accident or Car Accident in Lancaster? Our Lancaster truck accident injury attorneys and law office provide outstanding personal injury legal services for those injured in a truck collision, including 18 wheeler or big rig accidents, and for families and relatives of the victims killed in truck and other fatal accidents for wrongful death claims in Lancaster, a city located in Los Angeles County, California. Please contact our truck accident injury lawyers and law firm for a completely FREE CONSULTATION if you or someone you know was involved in a truck collision or other personal injury or wrongful death claim in Lancaster, Palmdale, Los Angeles or anywhere else in California. 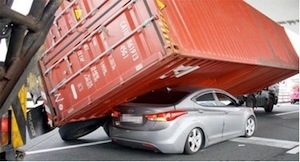 Please also visit our Truck Injury Accident Web Site to learn more about our truck accident injury claims. Lancaster is a charter city in the Antelope Valley that is neighbored by Palmdale to the south, Bakersfield to the northwest and Rosamond to the north. 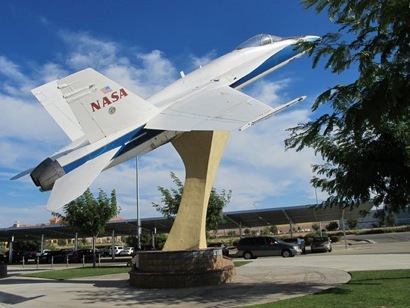 Lancaster is home to the Aerospace Walk of Honor, where pilots are honored for their contribution to the aviation industry as well as space research. Lancaster also hosts various events such as the California Poppy Festival in the Spring, the Streets of Lancaster Grand Prix for professional go-kart racing and the Antelope Valley Gem and Mineral Club for the annual gem show. According to the 2010 U.S. Census, Lancaster has a population of 156,633. If you or a loved one was involved in a truck collision or other personal injury claim in Lancaster, Palmdale, Los Angeles or anywhere else in California, please contact our truck accident injury attorneys and law firm now for a completely FREE CONSULTATION. One very serious injury that can occur from a truck accident is an injury to the temporomandibular joint (TMJ). The TMJ is the hinge joint connecting the lower jaw to the skull. The joint is responsible for helping a person talk, chew and yawn. Symptoms of a TMJ include a locked jaw, swelling, tired feeling on face, clicking or grating sounds on jaw when opening or closing and pain or tenderness. The TMJ injury is not life threatening but could permanently affect a person's quality of life. If you or anyone you know had a TMJ injury from any truck collision or other personal injury accident, please contact us now, including for referrals to doctors who may provide treatment without a request for payment until the claim is resolved, in Lancaster, Los Angeles or anywhere in California. The Law Offices of Gary K. Walch, A Law Corp., provides you with the strong advocacy that you need along with the compassion and understanding to make this process easier for you and your family, when you or a loved one has gone through a terrible truck accident or other injury accident in Lancaster or anywhere in California. It is our responsibility to best represent your interests and aggressively pursue your rights. Our legal team handles accidents involving truck, train, bus, car, hit and run, uninsured motorist (UM), pedestrian, motorcycle, bicycle and much more.